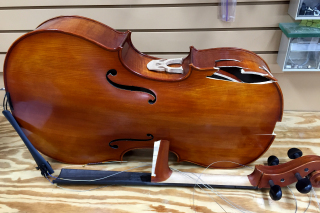 Lack of a case leaves an instrument susceptible to damage. 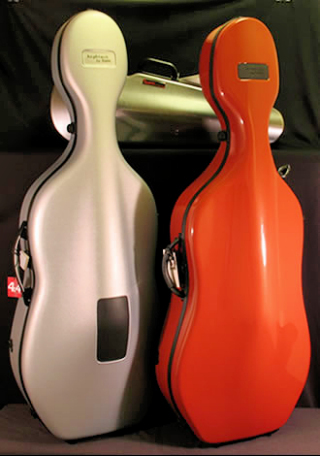 This cello is a case in point! Protection is the primary goal of a case, truly! Design features and style are personal. For fresh class and style, add a new case from Bam, Bobelock, Concord, or Lexington. We have them in a spectrum of new and exciting colors.